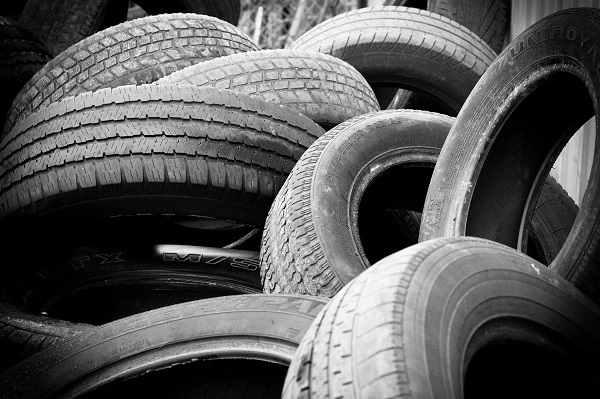 Over two-hundred million used tires are purchased in America every year. This, roughly, ten billion dollar industry may be significant in numerical standards, but just like any second-hand market is far from flawless when it comes down to the products that switch hands. Buying used tires can save you money, sure, but with the opportunity for a quick buck you may find yourself at the mercy of a seller that doesn’t care about your interests or safety. Or, they may not know anything about adequate tires. Needless to say, not knowing what you’re doing or looking for presents risks and may lead to an accident that could have been avoided had you had the proper knowledge. Don’t leave it up to someone who’s making a sale. Inform yourself and don’t be afraid to pass if it’s worn beyond its ability to be used safely. We prefer new tires but if you must go the “used” route due to a tight budget, then you need to know how to determine if the tire is good enough to use. Keep in mind, if someone took the tire off their vehicle, it may indicate the tire just isn’t worth putting on yours. However, that’s not always the case. Before anything, check the age of the tire which is displayed on the sidewall of most tires after the DOT code. There will be four digits, the last two being the year the tire was manufactured. What are the Drawbacks of Buying Used Tires? Simply put, used tires are already broken in. This means they will wear much faster than new tires. Even if they are seemingly perfect upon inspection they may have unnoticed hairline cracks throughout, among many other flaws to the structure. What does this mean? This means that a used tire, if purchased, should only be used temporarily and we do not suggest long trips with them. You never know how long the tires were sitting, how much they were thrown around or the abuse they’ve endured. Just because a tire’s tread is sufficient doesn’t mean the whole thing is without damage. 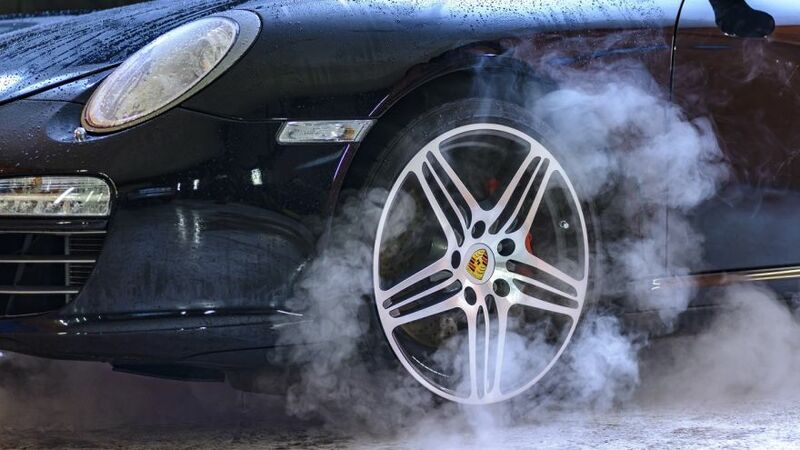 If you must go more than a month with a set of used tires, we highly suggest weekly inspections. This is not absolute, but as a rule of thumb, a tire should be “trashed” once it hits the fifty-thousand-mile mark. Although, some cheap tires or certain types only last around twenty-thousand. Make sure you ask the seller but take what they say with a grain of salt. Remember, not everyone is honest, unfortunately. Other commonly seen issues in structural integrity are listed below. Wobble – If you roll the tire and it wobbles, this means the internal belt (inside the tires rubber structure) has shifted. This will lead to misalignment like symptoms. These tires are extremely dangerous to drive on and they should be junked. There is no fixing a shifted belt, unfortunately. Dried out – It’s not uncommon to find a used tire on the market that is in the ten-year range, especially if you’re visiting a used tire shop. These guys have everything, but not everything is worth a dollar. You NEED to watch out for dried out tires. Not only will they not provide sufficient traction, they will also crack easily if not already. Not all cracks are on the surface and not all dried out tires have the resemblance of the Mojave desert. Some look smooth and appear to be in good shape. You need to test them out by applying pressure and making note of how much resistance they have. If they are hard and don’t provide much flex, don’t make the purchase. Worn down tread is another significant problem with used tires that is present one-hundred percent of the time, just to different degrees. Obviously, tread is important no matter which type of tire you’re on the market for with the exception of racing slicks. The more worn down the tread is, the poorer the performance will be and they will be that much closer to the end of their life. One of the most commonly utilized methods for checking if the tread of the tire is not shot beyond use involves using a penny. It’s simple. Just insert the penny upside down in between the area of the tread you wish to check, and if the tread reaches past the top of Abe’s head, the tire is usable. If it reaches just the tip, it’s advisable to pass on the tires. You want to make sure to use this method around the tire as it will also show camber wear that may not be easily visible. Below are some of the most common tread wear conditions that you will find on used tires. Uneven Wear – You should also look out for camber wear which produces similar damage to the tires’ tread as under-inflation but just one one edge or the other. Camber wear can be caused by bad alignment, loose wheels or a number of other reasons. Even if the camber wear is minimal to the eye, it will immensely hinder performance. This is something that you will notice once you put the tires on and drive if you are not vigilant when checking them prior to making the purchase. Don’t let it happen and be thorough in your inspection. Also be sure to check for wear directly through the middle of the tire, typically cause by over-inflation. These things will ensure you get a smooth ride if you do decide to make the purchase. If the tires carcass, or wire mesh is showing, forget about it. 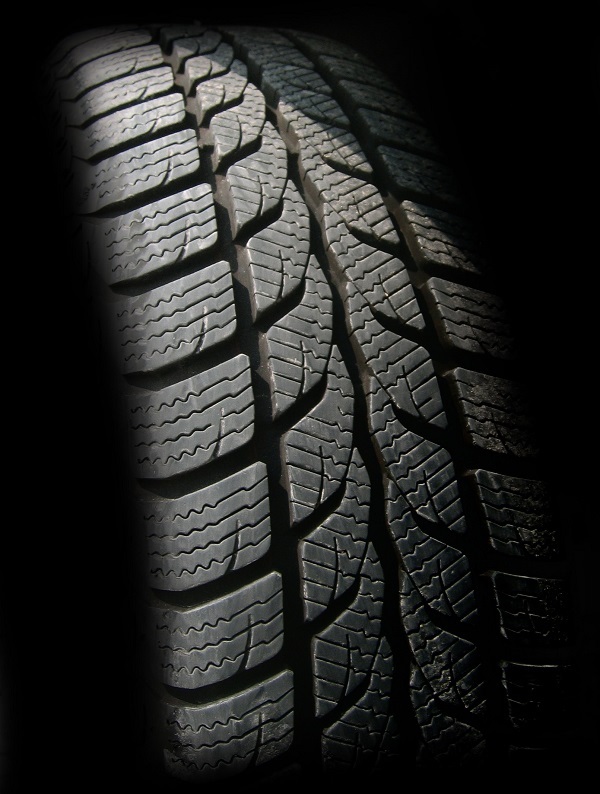 Feathering – Feathering is also a common issue with used tires. This is when the front of the tread block has a smooth surface but the back side has a jagged, rough edge. It’s typically the result of bad alignment and will cause poor performance and a rough ride even if the current vehicle’s alignment is as it should be. To check for feathering, simply run your fingers both directions of the tire. The jagged edge is typically more prevalent on the back side of the tread blocks since the cars are driven forward much more than in reverse. If they are catching in either direction it indicates a feathered tire and you should not make the purchase. Tire Cupping – This is when the tread blocks wear unevenly from one to the next. When you run your hand down the tire, you will feel the bumps caused because of this. It happens when driven on bad shocks or struts, and even if the tires are used on a car when both of those components are in perfect shape will still cause poor maneuvering because of the inconsistencies. You will also get a noise from the tires that is by any means alarming. Pass on these tires. Flat Spots – Flats spots are caused by the tires sitting with the car for an extended period of time. They are usually obtained by a “part-out” of a junk car. 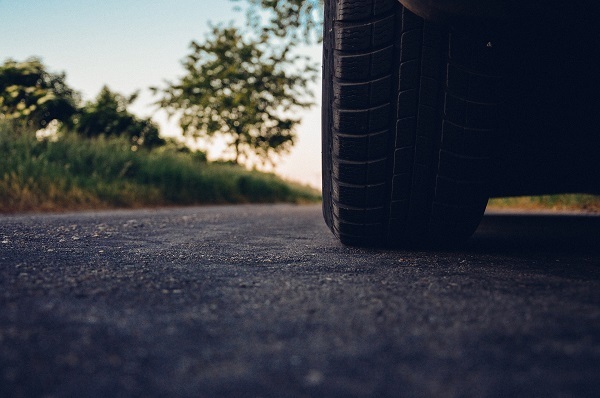 It typically takes about a year or so for the tires to be ruined by flat spots, but when they do occur you will get a bumpy ride. The last thing you want to find out once you purchase a used tire is that it had been punctured and patched. Patches can sometimes be difficult to spot and although are a good method of extending a tire’s use, are not good in the long run. The integrity of the tire is compromised as soon as it is punctured, no matter how good of a patch job is done on it. Once a tire with patches is replaced, it should be tossed out and not resold. Keep an eye out for this. Patches on the sidewall of the vehicle are an absolute no-no, so if you ever go against recommendation and take a used tire that has been patched, be sure that the patch is on the part of the tire that contacts the ground. In no circumstance should you EVER use a tire that has a puncture on the sidewall, even if patched. That’s asking for a certain blowout and a chance of a serious accident. 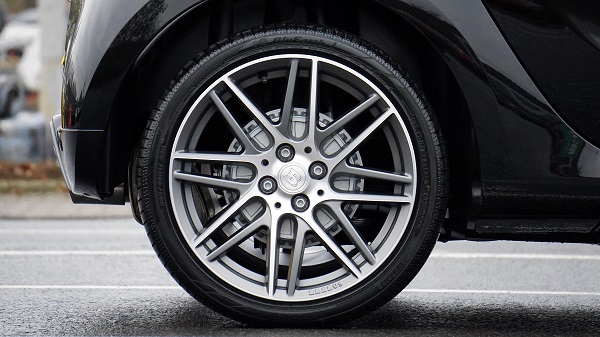 If you are purchasing a tire without the wheel, or “rim”, you will need to be extra careful as there’s no way to tell if there are open holes other than close examination. What are the Benefits of Buying Used Tires? One of the most obvious benefits to purchasing used tires versus new ones is that they’re going to cost you less – in some cases, a lot less. The lower price point for these tires will allow you to spend more money on other important vehicle repairs that you may require, such as an alignment for your new wheels. For the environmentally-conscious consumer out there, purchasing a set of used tires will help keep the planet green for a little while longer. Seeing tires to their last mile will help cut down on unnecessary and harmful environment waste. So, Should You Buy Used? Ultimately this decision is up to you. If you absolutely require different tires for your vehicle but cannot afford to spring for brand new ones, going for a set of used tires might be the best option for you. But if you decide to go this route, you absolutely need to do your due diligence prior to committing to buying used. A quality tire typically lasts up to 6 years, and anything more than that, unless stored in a weatherproof location should not be considered. Tires that won’t make it anywhere near the six-year mark are generic Chinese brands because they are made of cheap rubber. These will typically last two years and are not worth considering if you want adequate performance out of your replacements. They just don’t last. Also, make sure if you decide to get used tires, you get a set of four identical tires. It’s in no way a good idea to purchase mismatched tires. Even if they are all structurally adequate, they all will have different compositions which will significantly hinder your drive quality. Tire Buyer – Are Used Tires Safe to Buy?